Located on the forward smokestack is the searchlight platform. 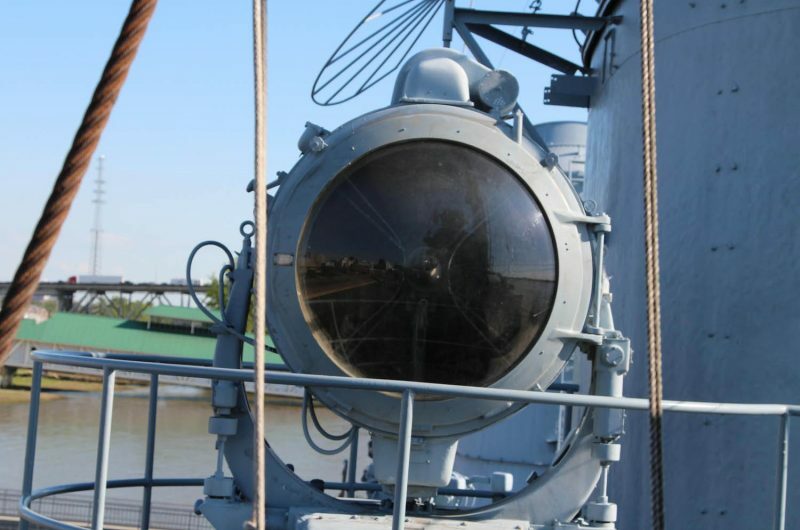 To either side of the stack sit ship’s 36″ searchlights. 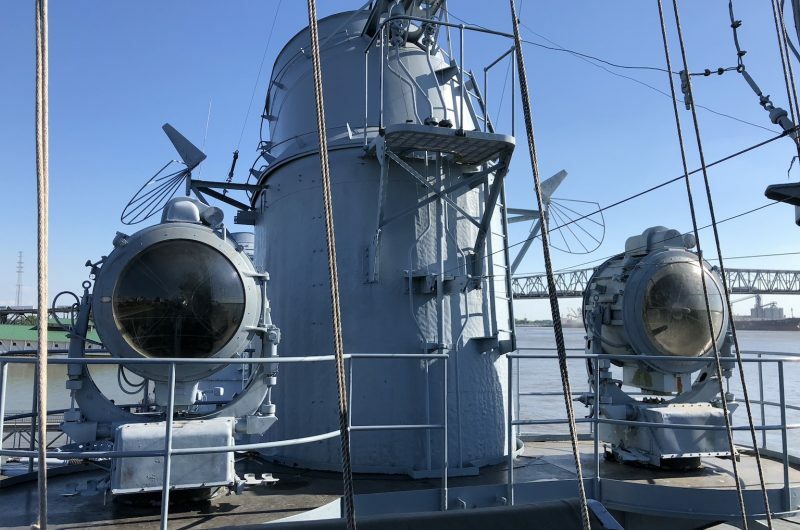 These lights could either be tied into the Mk-37 gun director and used to illuminate targets during a night attack, or they could be operated manually. These lights were of critical importance in the early days of the World War II in the Pacific theater. Confused night actions with the Japanese off of Guadalcanal and other such islands often caused American vessels to inadvertently target and fire upon each other. Toward the end of the war, however, these lights were rarely used.